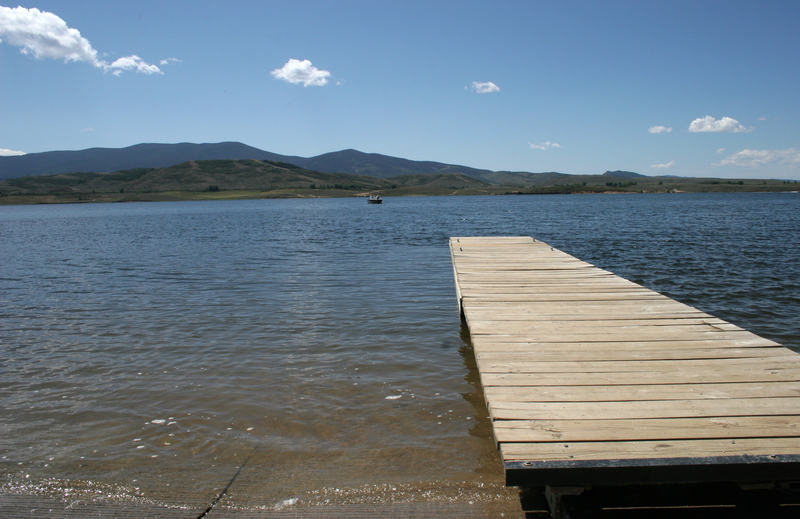 Effective May 11, 2019, the east boat ramp will be open for aquatic nuisance species inspections. See full schedule below. 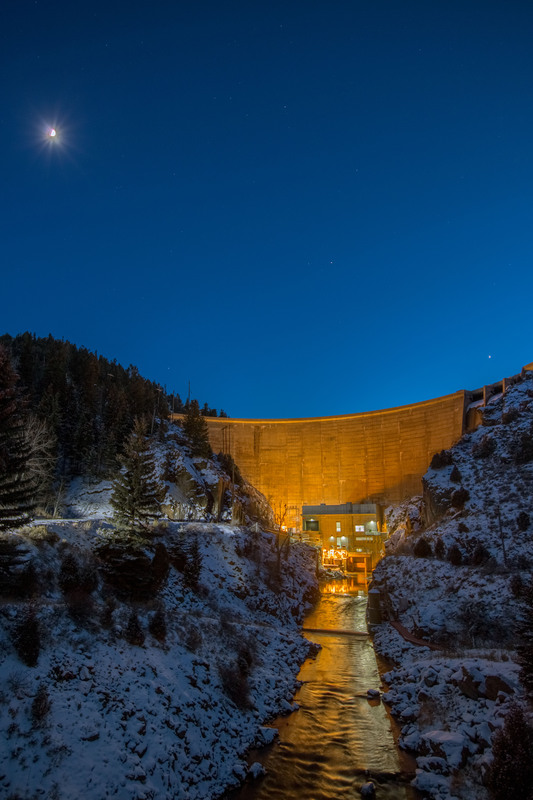 Completed in 1959, Williams Fork Dam and its power plant send water and electricity to the West Slope when Denver diverts water. 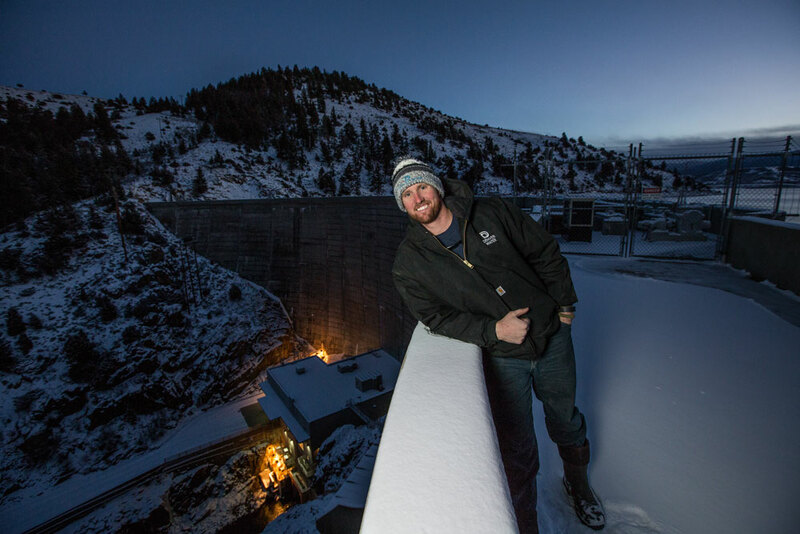 Standing 217 feet above the Williams Fork River streambed, the dam backs up a reservoir of nearly 97,000 acre-feet of water, and the power plant contains a 3,158-kilowatt generator. Motorboating: Launch motorized boats via the east ramp, which are subject to aquatic nuisance species inspections. Most motorized craft are unusable when the water elevation is below 7,790 feet. Small watercraft: Portable crafts allowed include kayaks, canoes and inflatable crafts. Launch small, car-top carried boats via the west ramp, which is closed one half-hour after sunset to one half-hour before sunrise. Camping: Majority of sites are for trailer or RV camping. There are some tent sites on the peninsula and east side campgrounds. 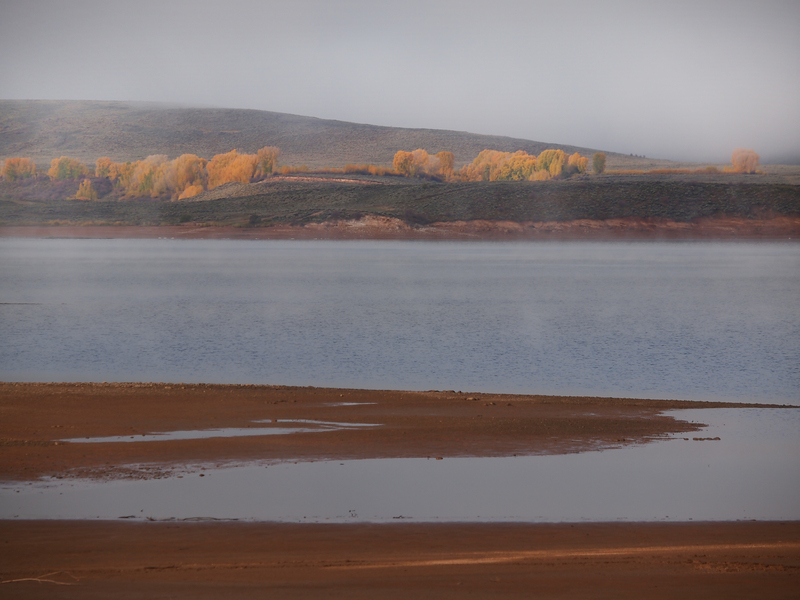 Fishing: Check the Colorado Parks and Wildlife 2019 Colorado Fishing guide for more information. Hunting: Big game hunting allowed in designated areas, but not within the “safe zones.” Waterfowl hunting also is allowed within designated boundaries, strictly in accordance with applicable federal, state and local regulations. Check our hunting access map. Limited services: No drinking water on-site; firewood is scarce. Consider bringing your own. From Denver take Interstate 70 to the Highway 40 (Empire) exit. Take Highway 40 past Empire, over Berthoud Pass, through Winter Park, Fraser, Tabernash, Granby and Hot Sulphur Springs until you reach the town of Parshall. At Parshall turn left (south) on Route 3; follow the road to the Williams Fork entrance. Day use areas: parking for fishing and reservoir access. Designated parking along south and west sides of reservoir. Overnight parking prohibited. Motor vehicles are restricted to designated roads and parking areas. Prohibited: off-road vehicles, snowmobiling. It is unlawful to use, light, or ignite fireworks or explosives of any type. Discharging firearms is prohibited, except when hunting. A permit is required for any special event. Domestic animals shall be kept on leash or lead and under human physical control at all times. Animal waste shall be removed immediately. Pets are not permitted to enter the water. All trailered boats must be inspected for aquatic nuisance species before entering the water. Only the east boat ramp can be used to launch motorized boats. The west boat ramp is reserved for launching of small, car-top carried boats (kayaks, canoes and inflatable crafts). Ramp is closed from one half-hour after sunset to one half-hour before sunrise. Toilet facilities on any vessel must be self-contained. Permanent boat storage is prohibited. Prohibited: Leaving camper, trailer, pitched tent or motor vehicle unattended for more than 24 hours; overnight camping in the inlet. Camping is restricted to a period of not more than 14 days. Following 14-day period, person(s) may not relocate within area for seven days. Check the Colorado Parks and Wildlife 2018 Colorado Fishing guide for regulations: bag/possession limits on trout and other species; kokanee salmon; and northern pike snagging. Ice fishing when conditions permit. 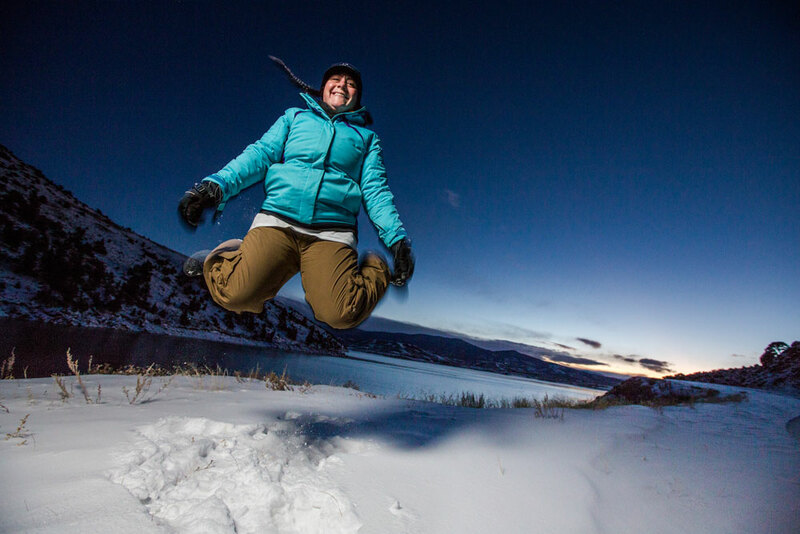 Denver Water does not monitor ice conditions and those entering onto the ice should be aware of changing conditions and proceed at their own risk. Denver Water (owner, operator, recreation manager): 303-893-2444 or Customer Care Contact Form.